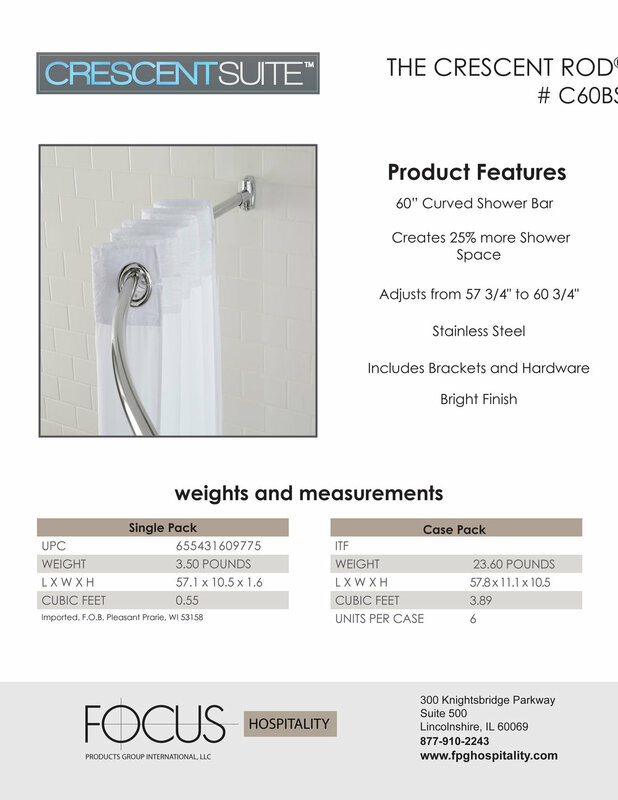 Focus Hospitality shower solutions Crescent shower rod. Crescent shower rod fits 5 foot tub enclosures; curves 3 inches inward at corners, 6 inches outward at midpoint for modified bathing space, No one likes a sticky shower curtain. This solution is a good one. Bright Stainless Steel rod and wall fasteners. Note: customer supplies curtain and curtain rings.